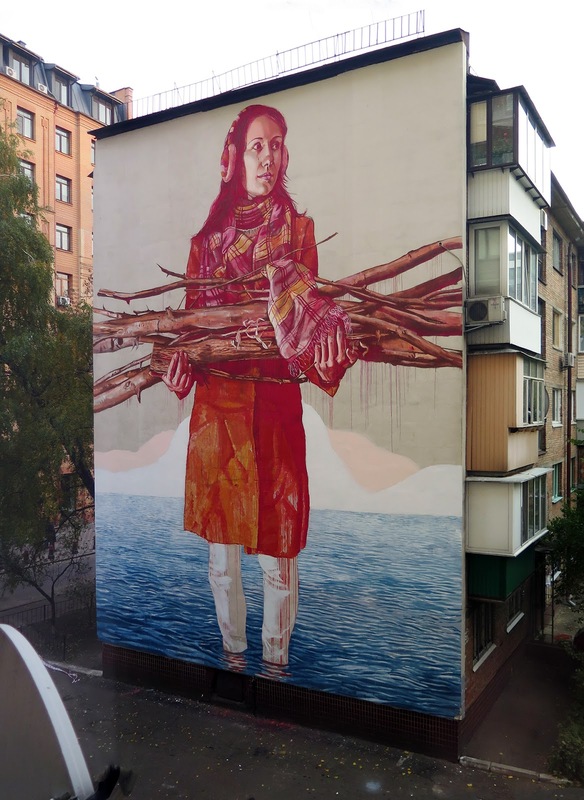 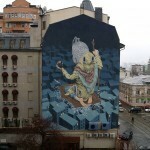 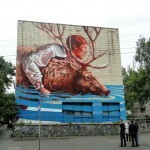 Eastern Europe is once again welcoming Fintan Magee which just finished gracing the streets of Kiev in Ukraine with a brand new mural. 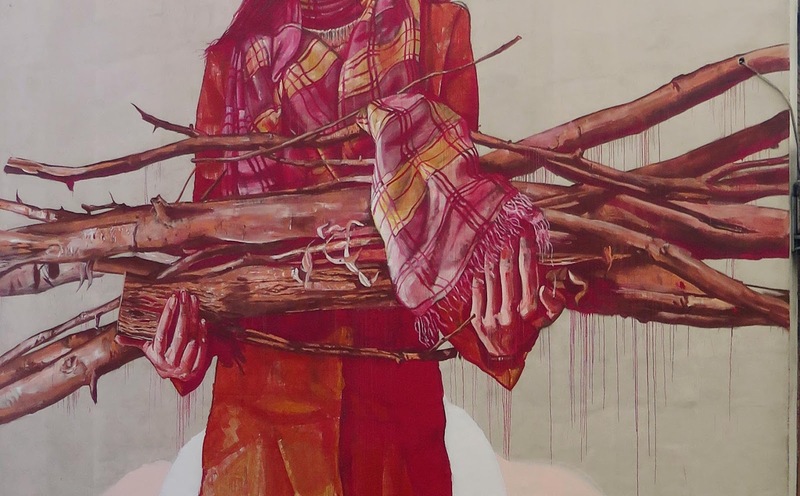 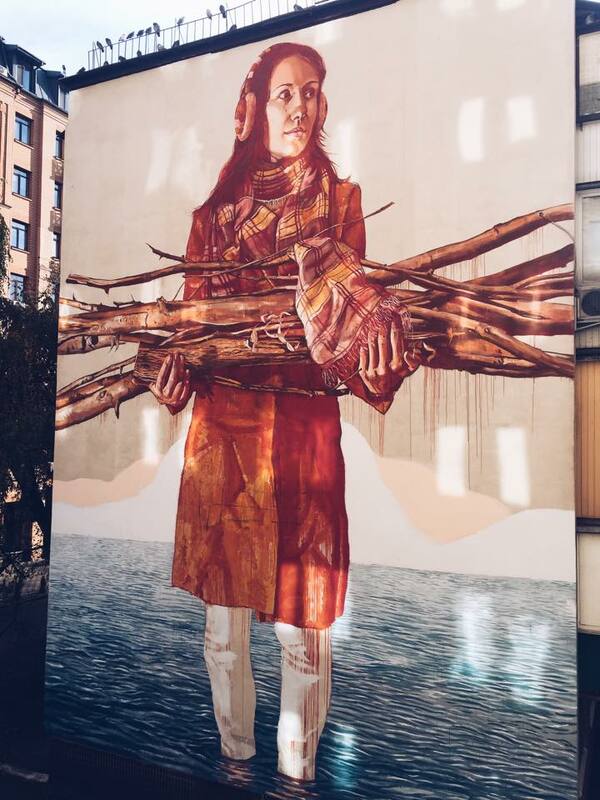 Entitled “The Rebuild”, the talented Australian street artist unveils a beautiful scene showing a young woman holding a bunch of branches in her arms. 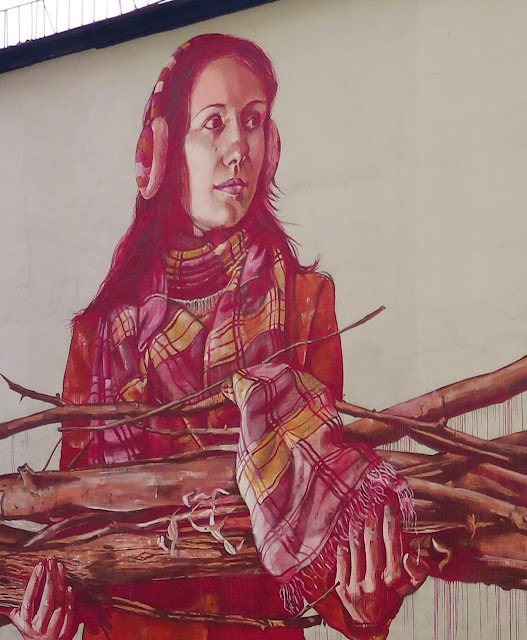 Marking the beginning of a rebuild, the scene seems to happen just after a large flooding, a recurring scene in Fintan’s work. 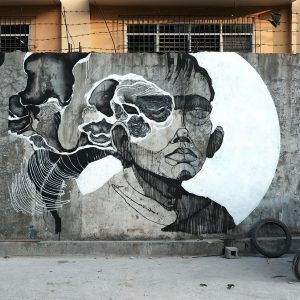 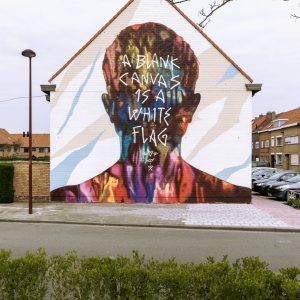 Hit the jump to discover a bunch of extra shots on this image and as usual keep checking back with us to discover more street art from around the world.